Need a home inspection in Redmond? Redmond, WA is located in King County, Washington, and is located about 16 miles east of Seattle. The city was first founded in 1870 by Luke McRedmond, hence the name of the city, which was changed to “Redmond” from “Salmontown” in 1883. Growth in Redmond remained slow until after the post-war years, when an economic boom began. The city grew 30x larger between 1951 and 1967, through numerous annexations. Today, Redmond is home to an estimated population of around 65,000, and is well-regarded as one of the best cities to live in all of America. The average median income in Redmond is quite high, as is the cost of living. The average family in the city has a household income of just under $100,000, according to recent estimates, and the average home value exceeds $649,000. Redmond is well-known as the headquarters of Microsoft, which employs nearly 35,000 people in the area. Terex, AT&T Mobility, and Nintendo of America are also top employers in the area, and other companies like Honeywell and AeroJet also employ a significant number of residents. Redmond is known as the “Bicycle Capital of the Northwest,” and is very bike-friendly, both for recreation and commuting/transportation. The city has numerous on-street bike lanes as well as dedicated cycling and walking trails. Redmond also has a strong transit system. Sound Transit and King County Metro Transit both operate a large number of bus routes in the area, and there are future plans to implement a light rail transit system, which will connect Redmond, Bellevue, Seattle, and a number of other cities in the Greater Seattle region. Major highways in the area include State Routes 520 and 202, and Redmond is also near the I-405 beltway. Schooling in Redmond is provided by the Lake Washington School District, which runs a total of 29 elementary schools, 7 middle schools, and four high schools, as well as 1 Transition Academy. There are also a number of private and charter schools in the area. The DigiPen Institute of Technology and Lake Washington Technical College Redmond Campus provide post-secondary education in the area. Interested in moving to Redmond, but want to learn more about employers, the lifestyle of the town, real estate, recreational activities, and other such details? We’re here to help. Get more information now with these helpful links, and contact information for local organizations. 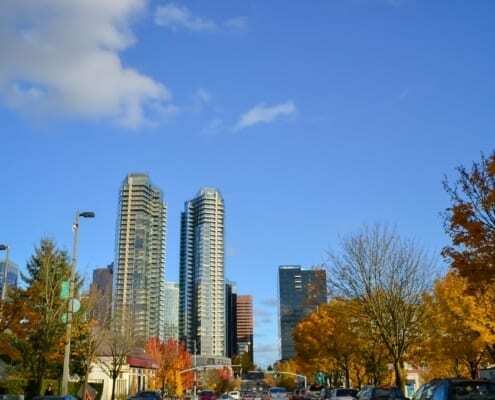 Redmond is a fantastic place to live, and it will give you the best of the Pacific Northwest. If you’re ready to make your move, but you need a home inspector to work with in Redmond, Key Inspection Services is a fantastic choice. We serve Redmond and the surrounding areas with professional home inspection services, and we ensure that we leave no stone unturned, to give you the confidence you need to close on the purchase of your home. Contact us to learn more about rates and availability, or schedule your appointment online now.